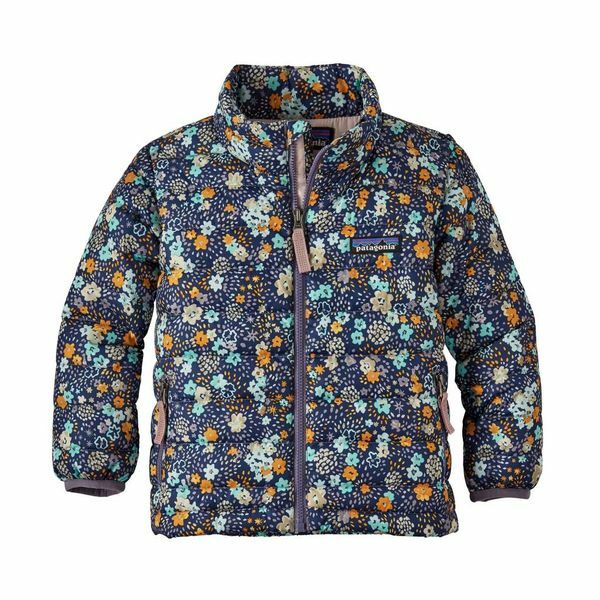 This Patagonia Baby Down Sweater is a classic. The easy-to-layer jacket will block the wind and resist water, making sure she stays toasty warm and looks super cute! The easy-to-layer Baby Down Sweater wraps them in soft warmth yet blocks wind and resists water when conditions get dicey. The ultralightweight 100% recycled polyester shell has a DWR (durable water repellent) finish to repel light moisture. 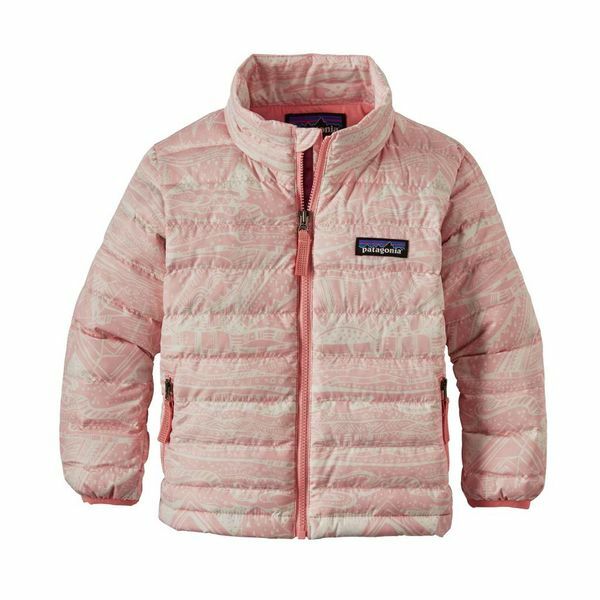 Insulated with 600-fill-power Recycled Down (duck and goose down reclaimed from down products) that’s compressible and warm; quilt-through construction holds down in place. A full-length zipper with a zipper garage to protect tender chins. Spandex binding at cuffs and elasticized back hem secure the fit and keeps in warmth. Hand-me-down ID label.